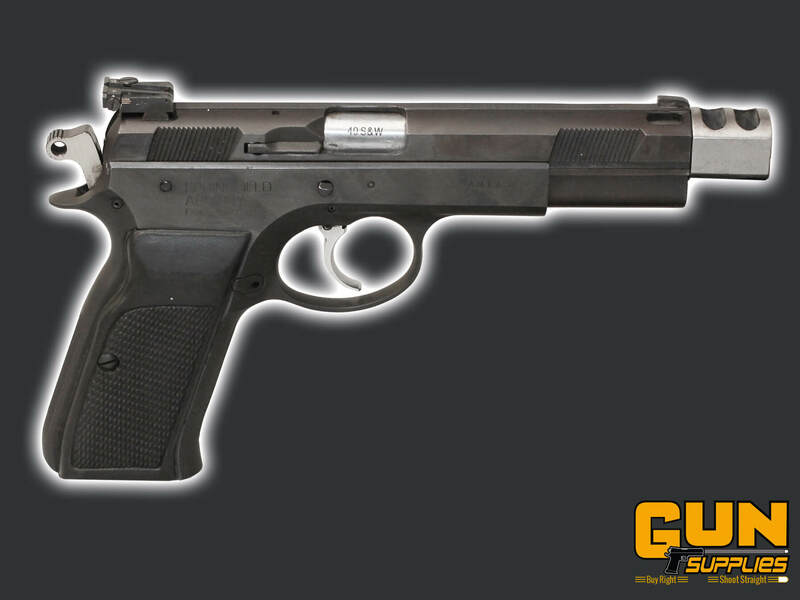 The Springfield P9 LSP pistol was one of the first "Hi Capacity" pistols to be used by IPSC Shooters in a bid to gain a competitive advantage over the traditional single stack 38 Super chambered 1911 style pistols. Strong enough to run Major IPSC loads and with a capacity advantage advantage they were just the ticket in IPSC's never ending quest for a competitive advantage. This pistol started out as a LSP or "Long Slide Ported" model, at some point the original barrel has been replaced with one chambered in 40 S&W and it has had a steel two port compensator added, the fixed rear sight has been upgraded with an LPA adjustable rear sight. 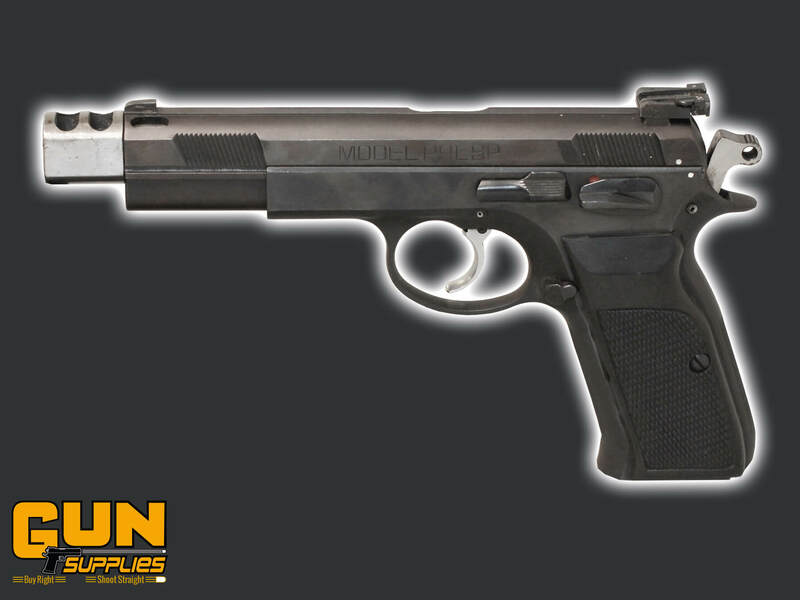 It retains the original rubber grips and double action capability and trigger of the original LSP. We would like to think we under rate all our second hand firearms, to give the best possible accurate description of their overall condition. If it's not what we say, we guarantee a full refund. LPA Adjustable Rear, Fixed front.